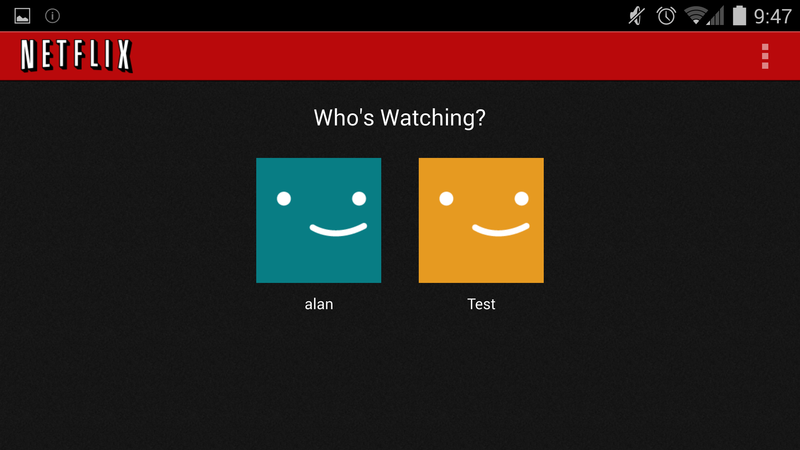 Historically, Netflix hasn’t had the most egalitarian attitude toward Android. An application wasn’t made available or Android devices until 2011, months after the iOS release, and for years had a user interface that bore the notorious unresponsiveness of an HTML wrapper. Of late, though, things have been improving: the Nexus 7 2013 was the first tablet to receive streams in 1080p HD, and version 3.0 of the Netflix app, released in October, vastly improved the fluidity of navigation on Android devices. In light of these recent positive steps, it’s only fitting that Netflix finally add a feature that’s been available on other platforms for the better half of a year: profile sign-in. The functionality is as straightforward as you’d expect: you can create and sign into different movie-watching profiles, as not to litter a family member or friend’s recommendations with asinine filmography. In addition, the updated app comes with semantic search – a query for an actor will bring up related movies, for example – and bug fixes in tow.